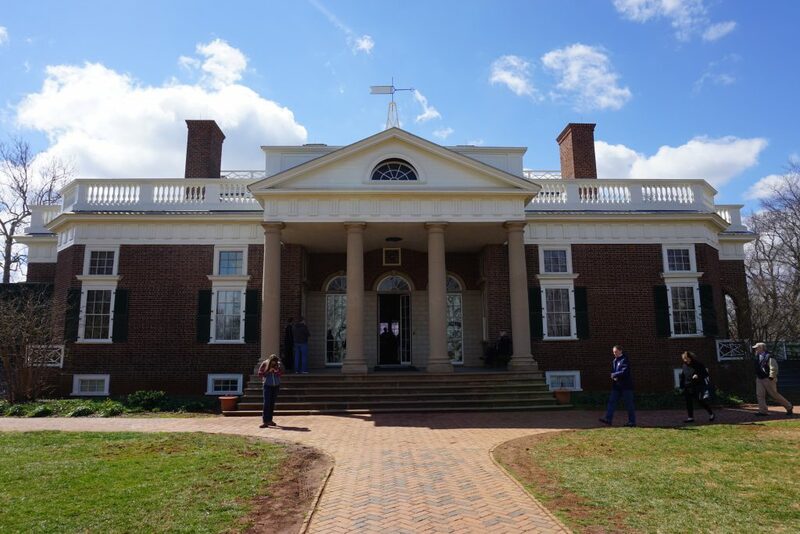 Monticello and Montpelier, the former homes of presidents Thomas Jefferson and James Madison, have long been attractions for those looking to learn more about two of America’s founding fathers. But this spring, the two neighboring Virginia presidential museums are looking to tell a more complete story of the early presidents by focusing on the stories of plantation slaves they kept — a complicated and often overlooked part of both presidents’ legacies. Jefferson and Madison, the third and fourth presidents of the U.S., were colleagues, friends and neighbors. 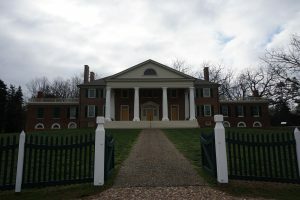 Their former homes, Monticello and Montpelier, are only 40 minutes apart. Jefferson wrote the Declaration of Independence, while Madison is known as the “father of the Constitution” — both documents that lay out the equality of Americans. Both also have the ignominious history of having owned slaves. For years, some historians and cultural commentators have urged museums and educators to include that history in reflections on both presidents’ lives. The City of Philadelphia and the National Park Service opened the President’s House, the site of George Washington and John Adams’ early terms of office, as a tribute to the nine slaves in Washington’s household. When it opened in 2016, the National Museum of African American History and Culture featured a statue of Benjamin Banneker, a free African-American man whose letters encouraged Jefferson to rethink slavery, along with an exhibit that explored the president’s relationship with slaves. Nearby Mount Vernon, which received a Rubenstein grant in 2013, also looks at George Washington’s relationship with slaves. Now, Montpelier’s “The Mere Distinction of Color” and Monticello’s Sally Hemings exhibits are exploring those relationships, too. Monticello, the former home of Thomas Jefferson. Credit: Alison Thoet. According to historians, both former plantations likely would have had at least 100 slaves working the estate at all times. Jefferson owned over 600 slaves in his lifetime, including Sally Hemings and their six children. Slaves were sold off after the deaths of Madison and Jefferson, as was custom at the time. Grappling with this history has been difficult for the historians at Monticello and Montpelier, they say. But they said that now was the time for that conversation. The new exhibits are the result of a grant from so-called “patriotic philanthropist” David Rubenstein, co-founder of the private equity group the Carlyle group. In 2013, Rubenstein donated $10 million to both Montpelier and Monticello to tell the stories of slavery. Both museums are now presenting those stories, though each in their own way. 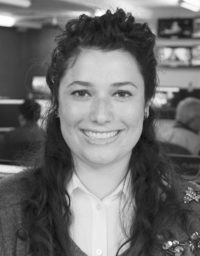 “With the conversations we’re having about race and civil rights, it has never been more timely to understand our American background and the story of slavery and how it reverberates today,” Kat Imhoff, CEO of the Montpelier Foundation, said. Montpelier used Rubenstein’s gift to reconstruct two slave duplex homes and two smokehouses in the museum’s adjacent South Yard, where slaves once lived. Through video and audio presentations, these spaces will tell the story of the slave families that lived and worked for Madison. The exhibit also has a second site in the basement of Madison’s home. This room will explore how slavery at the time helped fuel every trade and institution in the U.S., down to the American-made ships that transported slaves from Africa. It will also give voice to the slaves of Montpelier through descendants who tell their stories. The exhibit will be interactive, with a 10-foot rendering of the Constitution, where visitors can explore the language that protected slavery as an institution. There will also be a map that shows the network of Montpelier slaves as far as Louisiana, including where slaves were sold or had spouses, siblings and children. Christian Cotz, director of education and visitor engagement at Montpelier, did not want to tell the “typical slave story of labor and living conditions” that he believes most museums exhibit. “You never see a museum about humanity denied or stolen from people and that’s what we’re doing here,” Cotz said. After two years of planning, the exhibit opens in June, building on 20 years of research — and 200 years of history. While Montpelier as a nonprofit is only about 17 years old, the Thomas Jefferson Foundation took over Monticello in the early 1920s, and the museum has evolved many times since. 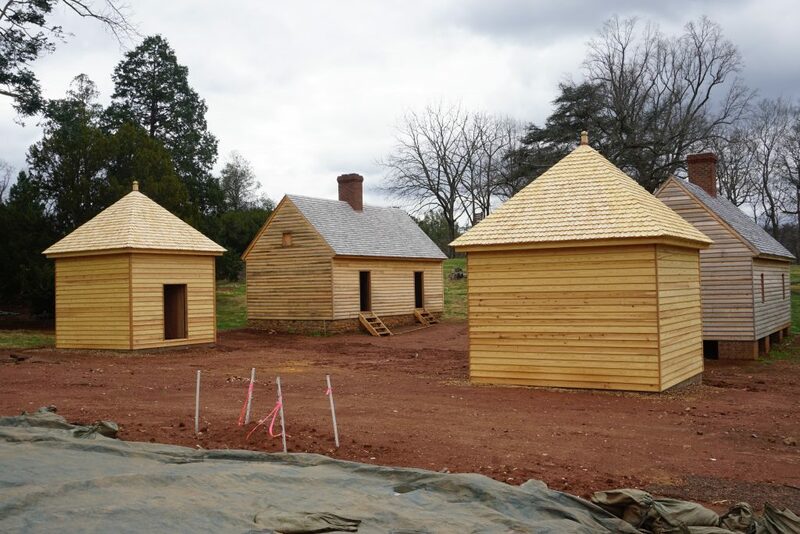 With their initial grant from Rubenstein in 2013, the museum furnished the upper levels of the home and reconstructed a slave dwelling and storehouse on Mulberry Row, the slave and trade hub of Monticello set just below Jefferson’s house. 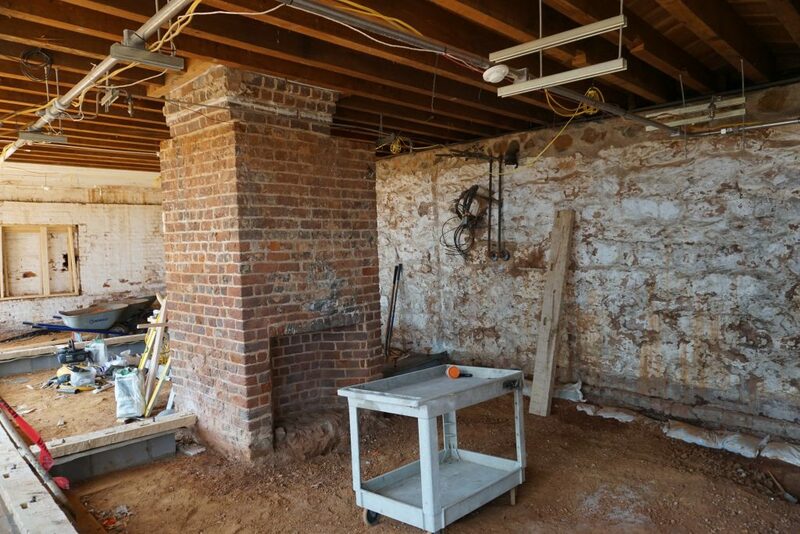 After Rubenstein donated $10 million for further work at Monticello in 2015, the museum is using part of the gift to restore a room historians interpret as having possibly been inhabited by Sally Hemings, a slave with whom Jefferson is believed to have had six children. The room was made into a bathroom in the 1940s and had to be gutted to re-establish it as Hemings’ room, which will be completed for 2018. “Having something physical on the landscape makes a huge difference” in telling the stories of slaves, said Monticello Director of Restoration Gardiner Hallock. Especially important is Sally Hemings’ story, he said, which was scandalous even in Jefferson’s time. “She’s a woman. She’s a mother. She’s a sister. It’s important we give [Sally] space where her personhood means something,” agreed Bates, who runs the oral history program at Monticello. As a rule, Monticello house tours must mention slavery and Jefferson’s relationship with Hemings. A specific slavery tour of Mulberry Row has also existed for nearly 25 years. But Bates said giving more physical space to Hemings and other slaves at Monticello will provide a more rounded history of the founder himself. “The beauty of this place is complicated by the reality of its past,” said Brandon Dillard, manager of special programs at Monticello. Both presidential museums have also brought descendant communities on board in the planning of these exhibits. Madison’s freed butler, Paul Jennings, has a great-great granddaughter on Montpelier’s advisory board, while direct descendants of Jefferson and Sally Hemings work with Monticello today. Historians at both museums agree that now is the time to make that tapestry whole. Correction: The article has been updated to reflect a June opening date for the new exhibit at Montpelier, and to remove a reference that Sally Hemings was freed by Jefferson. She was unofficially freed by Jefferson’s daughter.